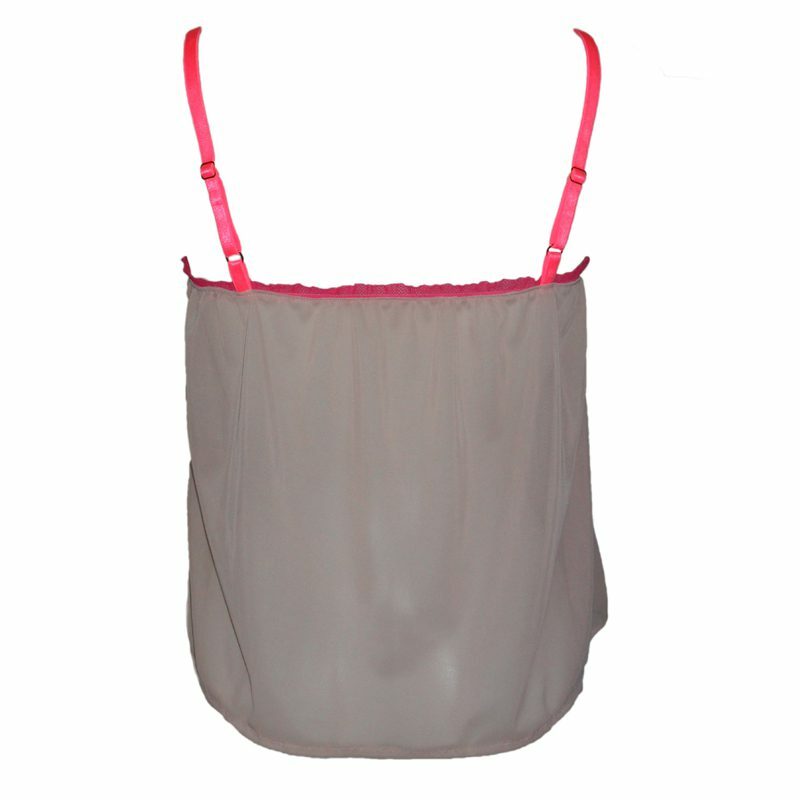 A beautiful, semi-sheer camisole in pale pink mesh. 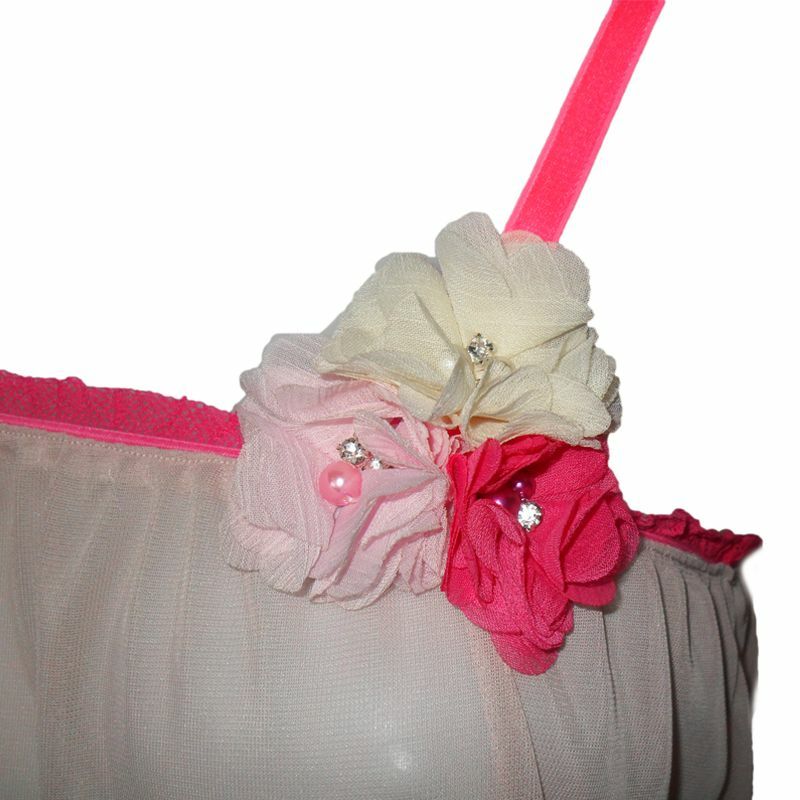 Bright pink ruffled, netted trim. 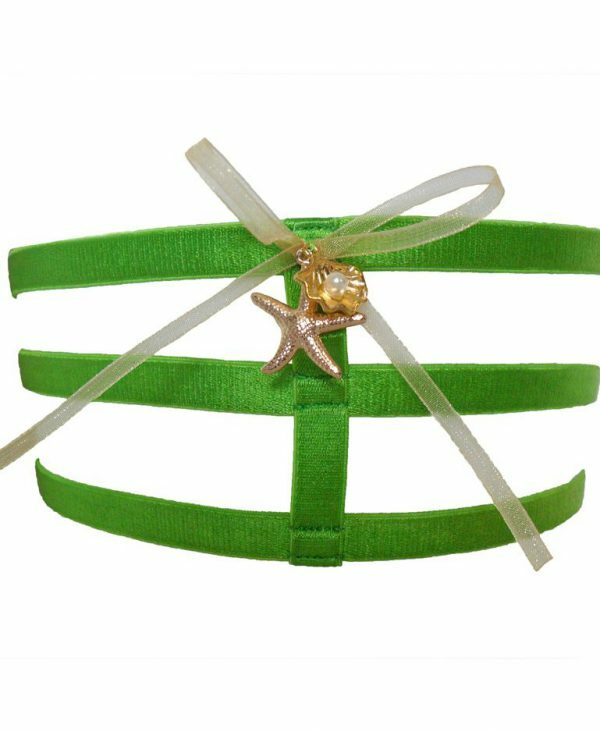 Fluorescent pink satin elastic straps. Pretium gold-plated rings and sliders to adjust strap length. 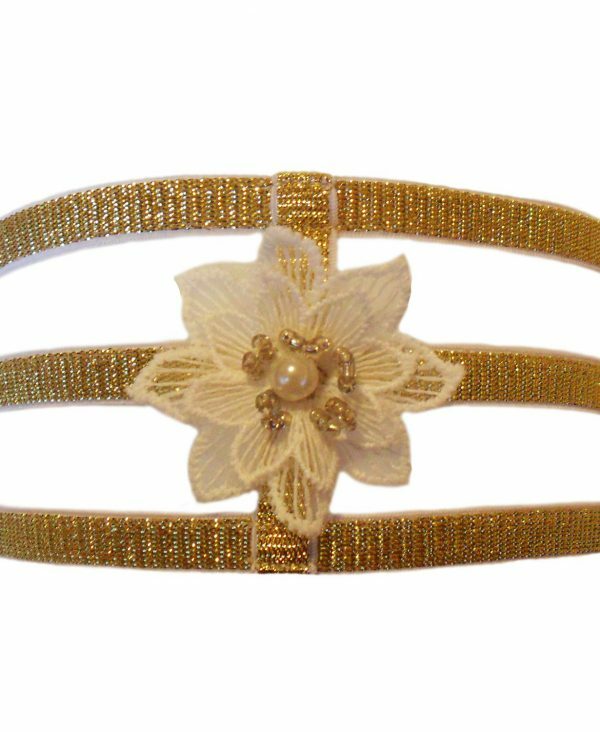 Adorned with a posy of chiffon flowers beaded with faux pearls and diamant�s.